When you’re on the move in the transport business, you don’t want anything holding you back. There are deadlines to meet and outcomes to achieve, and if your equipment isn’t up to scratch, neither are your results. Your work performance can be affected by a number of factors, even coming down to something as seemingly small and insignificant as the comfort of your truck seat. You spend so much time sitting in your truck seat, so why would you underestimate the value of a quality truck seat? 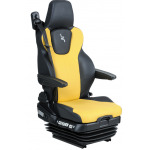 At Seat Shop Australia, we provide superior quality comfortable truck seats and repairs with a friendly team, all at the best prices in Australia. Everyone wants a comfortable work environment, and if you were working in an office, an ergonomic chair would be the first step towards that physical comfort and support. Unfortunately for industries where vehicles are a big part of “the workplace”, often the seating aspect gets overlooked and undervalued…but that doesn’t have to be the case! Get a comfortable seat installed in your truck, or if you have an existing one, we can repair that too! 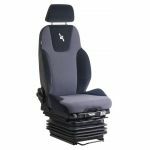 We have a huge range of truck seating and parts to enhance your driving experience and make it as pleasant as possible. When getting your truck seating fitted, we can come to you or you can bring your truck to our workshop and our friendly and professional team will get the job done promptly. 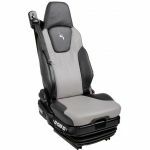 If you’re searching for truck seats for sale in the Brisbane area and beyond, we’re got you covered. Get your truck seats in Brisbane and beyond today! 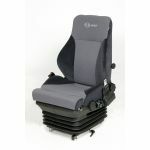 At Seat Shop Australia, vehicle seats are what we do best. Whether you need a seat for your truck, tractor, forklift or otherwise, we can repair, supply and fit it for you. Get in touch with us to chat about your seating options, and get on the road with comfortable truck seats today!